This table introduces you before you hit the stage. 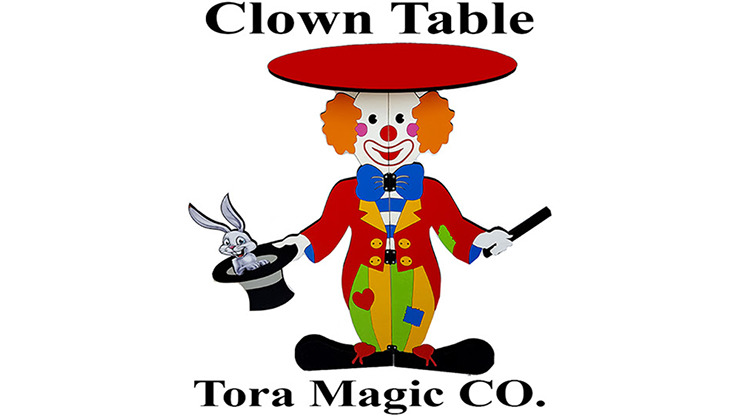 It's the Tora Clown Table! Let your table take care of the introductions and let them know what type of show the audience is about to see - FUN! The iconic clown image immediately implies fun and merriment is on the way, and everyone is going to have a good time. Plus the table surface will be ready for all your performing needs. Let the clown do the talking! Get your table today!